Like the majority of Nathan’s fans, I first became familiar with him thanks to “iCarly.” The show started off as background noise for me, but by the second season, I started to tune in more. I also learned that a lot of people I knew from other fandoms liked this show. While the show could definitely be wacky, the cast had wonderful chemistry and could tackle both comedy and drama. By the third season I believe, Twitter started to kick off and the fans were able to follow the cast and learn a bit more about them. One thing that really stood out about this cast was that they all seemed to be pretty well grounded. They didn’t appear to be spoiled Hollywood divas. They were just teens who happened to act. That was refreshing. I’ve also always had a thing for what I call “adorkable” guys – cute guys who don’t take themselves too seriously. 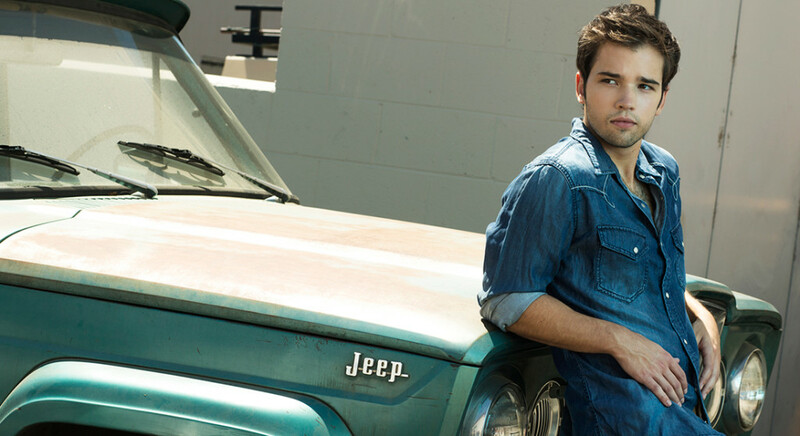 One of the jokes in the Nathan Kress fandom is about his inability to dance. There are plenty of videos and gifs to showcase this. Why this appeals to me? I guess I just enjoy a good laugh. It’s just silly fun. Another reason I’m a fan of his? This is a big one, but I really admire that Nathan is vocal about his faith in Hollywood and tries to be a role model for his fans. I’ve seen too many stars shrug off this idea. There was even a somewhat recent interview with a Christian website where he went into detail about how his faith defines him and how he wants to be seen as the Christian who acts, not the actor who just happens to be a Christian. I think that’s a really brave thing to do in Hollywood. He also takes part in numerous charities and has even gone to New York City to help the Salvation Army with Hurricane Sandy relief efforts. I have also yet to hear of a bad fan encounter. From mall signings to random sightings in LA and NY, fans always talk about how sweet he is and the awesome hugs he gives. I also always get a good laugh any time I read about how good he smells. For those who have gotten to actually visit with him longer, I always hear about how personable he is. Off the top of my head, I can think of three or four fans who have met him on multiple occasions. For one girl, her first fan encounter was at a signing. When she mentioned her Twitter username, his head popped up and he immediately gave her a hug! Some devoted fans have also been able to visit the set whenever they were in California. One fan got to even have breakfast with him and his girlfriend. Each and every one of these fans come back with lots of stories about conversations they’ve had with him. Oh, and more hugs! I mainly use Twitter and message forums to interact with other fans. We’re not the largest group, but we are very excited to see Nathan spread his wings in acting – especially in dramatic roles. I think I speak for the majority of his fans when I say that I always felt that Nathan’s strongest scenes in “iCarly’ were the serious moments. Also, the fans loved his appearances on both “CSI” and more recently “Major Crimes.” You can only imagine how ecstatic we were when we got confirmation he was going to be in a major motion thriller! We’re all just super excited to see where his career will take him. 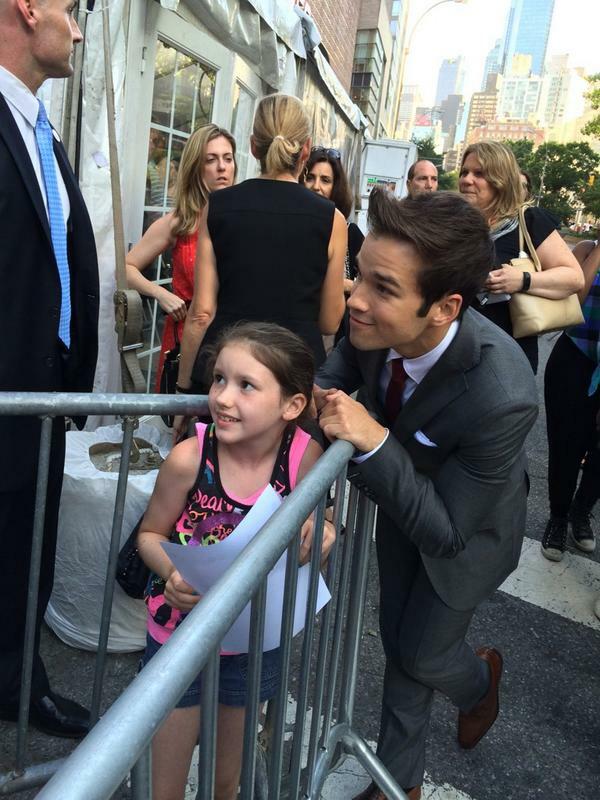 So there’s my answer as to why I am a fan of the “adorkable” and talented Nathan Kress. I love this and especially that he seems to be a person of character. He’s going to weather some storms over that! But that will only make him better and a real light. 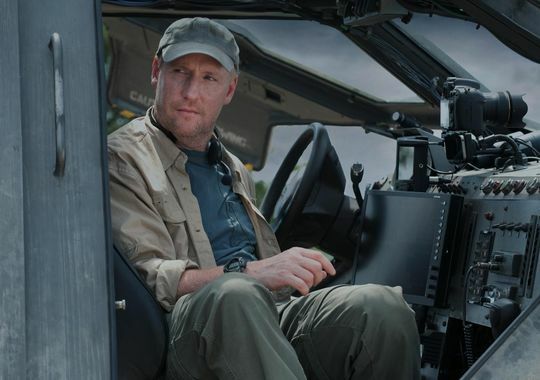 Into the Storm was Nathan’s first major motion picture appearance, and I hope to see him again on the big screen very soon. You can find Nathan on Twitter. Maybe he’ll help our guy get acclimated. In the meantime, I have a little something to say about Richard’s performance in his latest movie (I already said something about everyone else here). A few minutes after watching the movie, I was bursting with thoughts to express. A veritable flood, and then the turbulence in my mind subsided, and I knew what I wanted to talk about. Not the accent, not the everyman hero, not the vice principal who looked like no vice principal I had ever seen, not the near miss with the meteorologist. No, none of that. I wanted to address a very pivotal point in the movie — the escape from the school. I happen to know a little something about driving a school bus in adverse conditions (don’t ask me what ’cause I might explain), so when I saw Richard driving (okay, maybe he wasn’t driving. He just looked like he was, or maybe he really was. I would love to know. ), my mind came alive, and I couldn’t help but think a little something extra could have been done to aid in frustrating the twister. But what?! Then the answer came to me. It’s the answer to everything. And it can totally be done in a school bus. Go here, and take your time. I’ll wait. Sheep are tough especially if they’re going the same direction as the bus. But if they’re going the opposite direction, it is fun to observe. One of your crazy fans who really can drive in some hairy stuff; think whiteout at 10,000 ft.
P.P.S. Beverly Farr has some thoughts on the movie as well. note: I am going to write a serious post about my impressions of Richard in this movie but not yet. SO and I were finally able to see this movie last night. And here’s a one sentence review for those in a hurry: I liked it! Yep, that’s right, a Jane Austen, Elizabeth Gaskell, Charlotte Bronte’ loving fan likes her some action adventure. Psst: don’t tell the action fans or it will spoil my image, but then I did say there is one way to turn us hopeless romantics into action fans. But that’s not the only reason in this case. 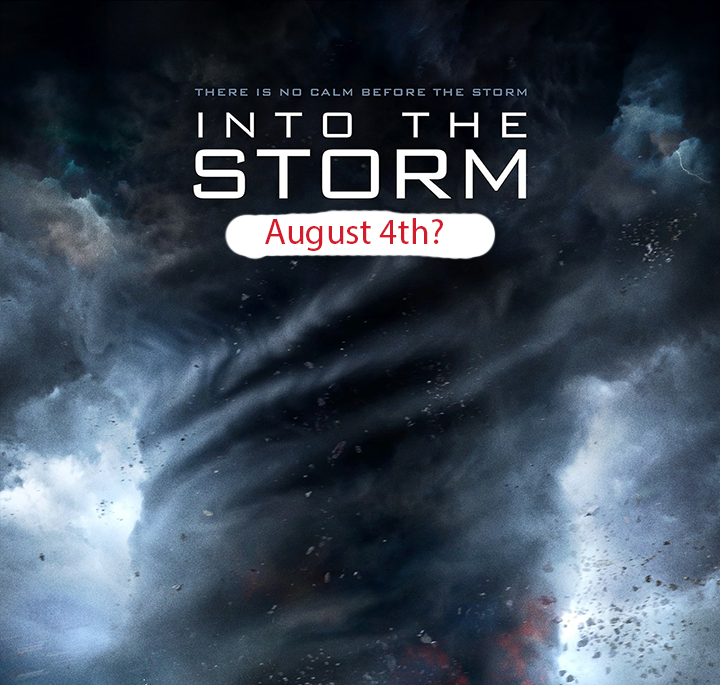 Into the Storm is a great summer ride, which is exactly what I thought it was going to be, and I was not disappointed. As well, I agree with several fans who said Max Deacon did a great job. We will certainly be seeing more of him. I also thought the rest of the cast did well. I already liked Matt Walsh. I knew almost nothing about Sarah Wayne Callies, and now I know something, and I like her. She can fawn over Richard any day of the week. Just wish it were in a movie. LOL! I also liked Alycia Debnam-Carey and Arlen Escarpeta. Both of them held their own. Jeremy Sumpter played the perfect guy caught in something bigger than he was, and Kyle Davis and Jon Reep were a scream. Their characters Donk and Reevis were the perfect comic relief. 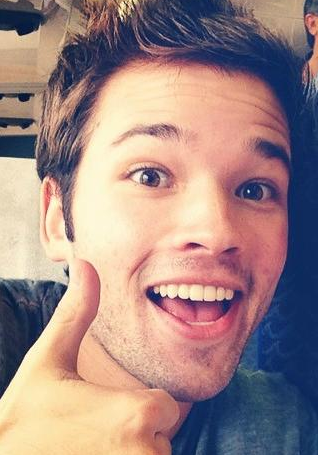 But I adored Nathan Kress. I had never seen much of anything with him except when I was briefly passing through the room where my youngest child was watching iCarly a few years ago. I’ll have to think about exactly what it was about Nathan, but for now, the few times he was heard or seen, his charisma was huge! I’ll cover Richard in another post. Thank you, thank you for the ride. All of it. I know other fans have already thanked you for all the fun we’ve had, but I had to do it too. And Into the Storm was worth the $11.50 admission + $10.00 for popcorn and a drink x 2. My SO and I had a lot fun, and I even got a little choked during one scene and did not expect that. LOL! I’ve been out of pocket more or less the last couple of days due to unexpected company — my brother. 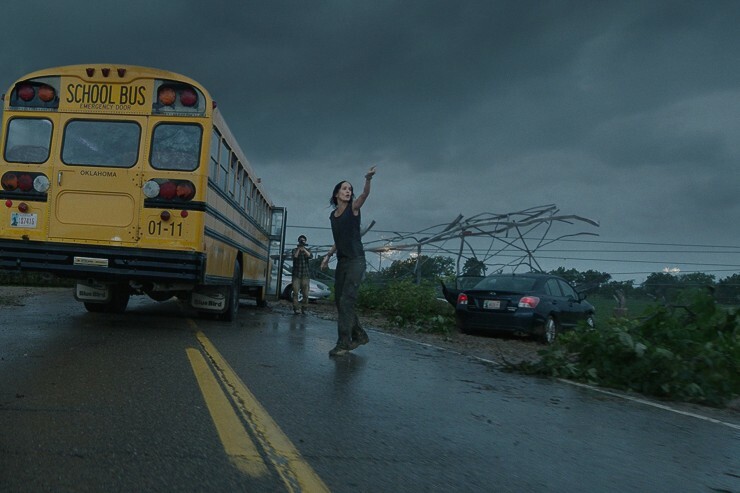 We were going to try to see Into the Storm this evening, but it’s sold out. I should have known this since I’ve had several fans telling me they went to see the show only to find the screening they wanted was sold out. 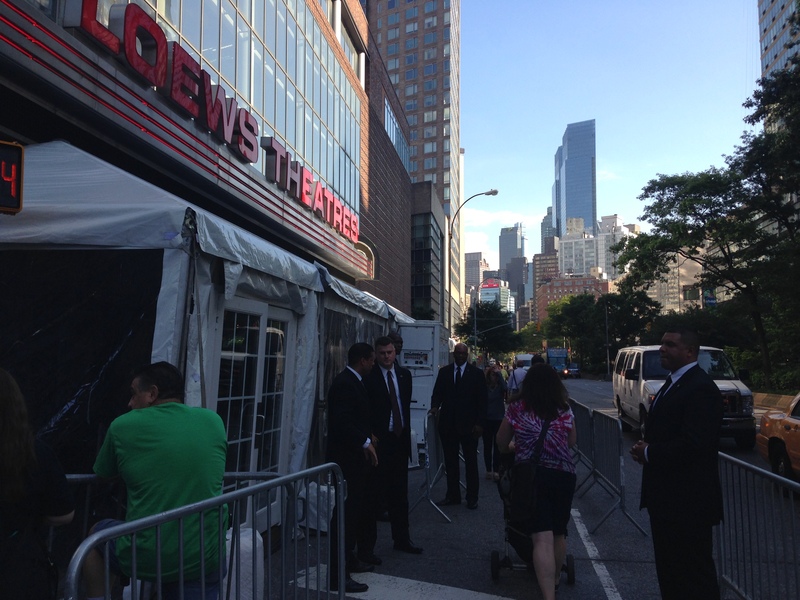 Armitage Besotted and her bunch in Manhattan were going to attend a particular screening today, and it was sold out. They had to attend later. TheQueen went to see it yesterday at 11:00am, and I was stunned when she told me the theater began to fill up as she was waiting for the previews to end. Did I mention this was 11:00am in the morning? That venue was Kansas City. A friend in Denver also experienced a sold out screening. She and her companion bought the last two tickets for the performance they attended. And I could go on with stories like this from around the country. The moral of this story is don’t wait until the last minute to purchase tickets. Things are moving into place at the Into the Storm premiere. Be sure to watch @marieastra8’s timeline. Dateline: NYC — Into the Storm Premiere? I’ve had some questions in email about the movie premiere (not to be confused with the general release which is August 8th U.S., August 22nd UK). I honestly don’t know where the Into the Storm premiere is happening or when. But there are some pieces to the puzzle, and I bring them for those who haven’t been paying attention. Here’s how it works out in my mind: a quick trip to NY on Saturday night after The Crucible performance, sleep on the plane, rest some more on Sunday, do the premiere on Monday (maybe in the afternoon; yes, they have movie premieres in the afternoon. Remember Captain America? ), catch a flight back to London on Monday afternoon/evening, rest some more on the plane, no matinee on Tuesday (thank God! ), ready for performance time on Tuesday night. Voila! a premiere done and only one Crucible performance missed! Or the premiere could happen Sunday with a trip back to London on Monday morning. Stop me. Someone please, please stop me. I have to get back to work!! But aren’t you glad I have time to think about all of this for you. Not that this was too taxing, but I really am supposed to be working right now and here I am analyzing Richard Armitage’s schedule. *looks crosseyed* Hell, I bet he has a meltdown over his schedule at times, so I should not even begin to process this. No, no, I’m not really processing this. I’m just throwing this out for you to have something to think about, and especially for those who live close to NY or who can get there really quickly. LOL! Truth: I do not know where or when this premiere is happening. Just wanted to say that again in case someone thought I really knew something. I don’t. I can’t imagine anything sweeter than going to your movie premiere AND writing the plane trip off my taxes. So maybe you could talk to Warner Bros. and they could accommodate? Presumptuous I know, but really, this place wouldn’t exist if I weren’t presumptuous. I’ll stop with that thought as I feel a tangent coming on. And I threw in that last detail about your digs ’cause if you’re like most people, you always rest better in your own bed. Man, you need all the rest you can get with that intense schedule. Watch someone take me seriously about the comment on Nathan’s fans. For the record, I’ve met and interacted with quite a few of his fans, and they have all, to a person, been lovely. Impressive actually. And yes, that’s a lousy editing job on the movie poster. That’s what happens when I prepare a post in 15 minutes or less. @RAFrenzy Or Sunday premiere, and Monday morning for a couple of talk show appearances before he flies back to London. Hmm. Now I have to get back to my schedule. That was not a joke about working. I’m slammed.